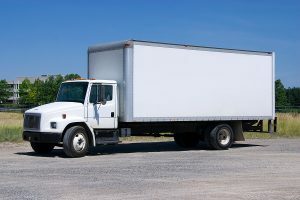 KVF is now offering transportation for your products! We at KVF understand the costs and constraints the transportation market puts on each part and order. With increasing costs such as insurance, fuel prices, wages, etc. its no wonder that sometimes the cost of transportation can double or more the cost of each part produced. 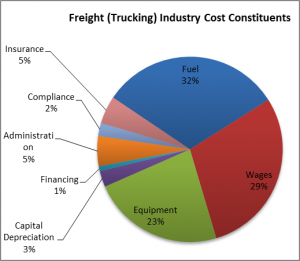 You can see the graph above that fuel costs is only a third of the costs most transportation companies need to cover. This is also true if you are running your own transportation or delivery in-house. Because of these increased costs, KVF is working with multiple transportation companies around the Quad City area to drive down these costs and provide to you (our customers) the best cost for delivery of your parts. We are also willing to work with each customer to incur these costs if order/load size are of sufficient volume. Because of our strategic location near Interstate I-80 and I-74 we are able to provide this to multiple customers ranging from Wisconsin, Iowa, Indiana and Illinois. Call us at 309-755-1101 to discuss how we can help you reduce costs by providing transportation for your next order! Ultrasonic Cleaning – Is this process right for your parts?